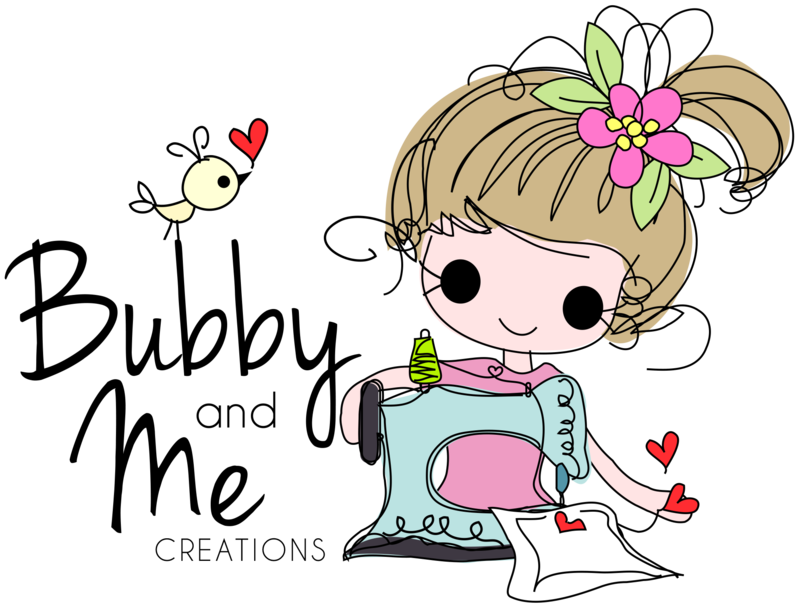 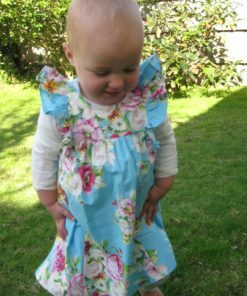 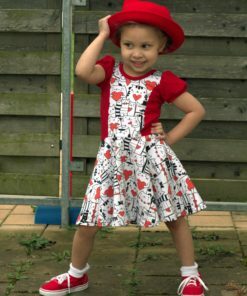 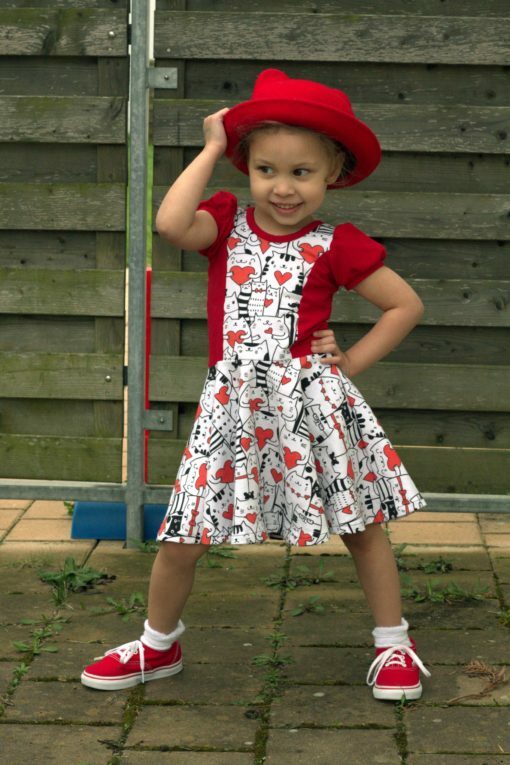 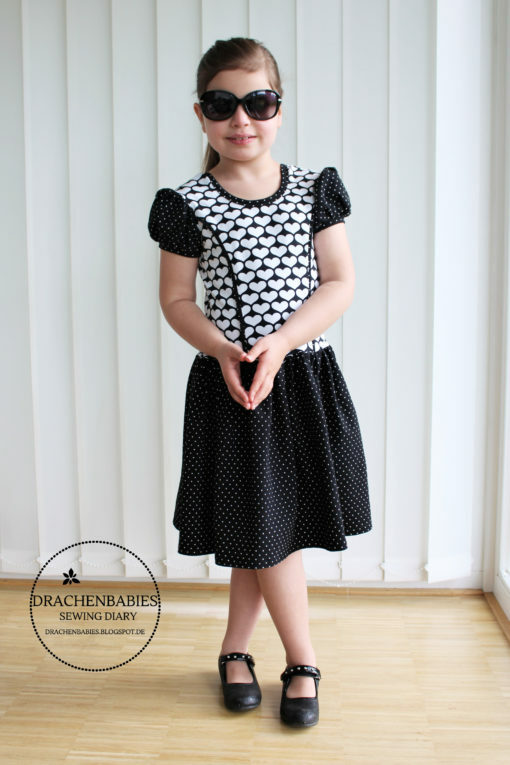 The Poppy dress is designed for use with cotton/lycra knit fabric (or equivalent) and based on the popular Pippa dress. 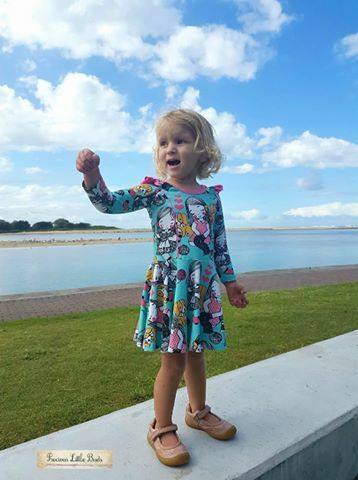 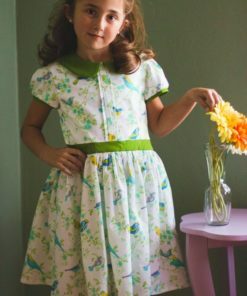 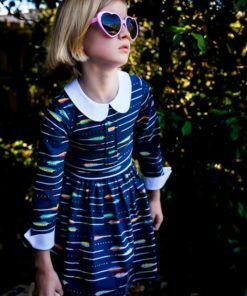 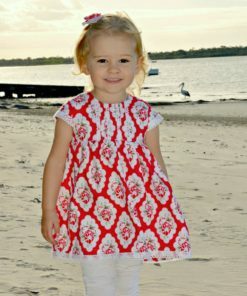 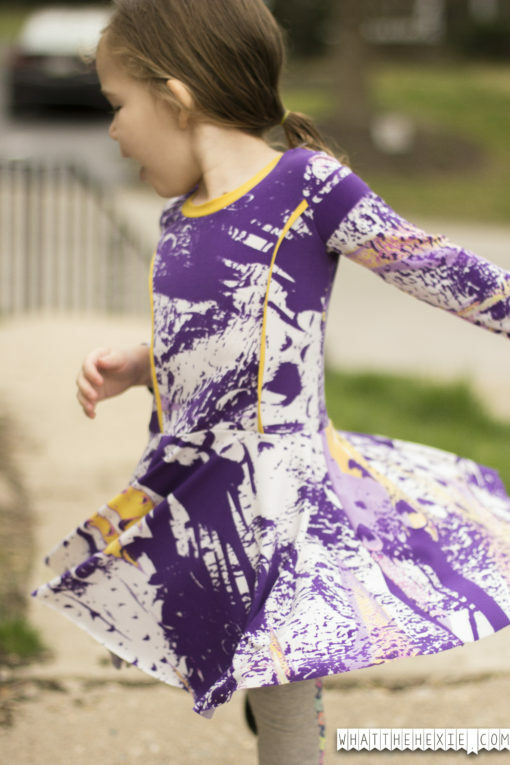 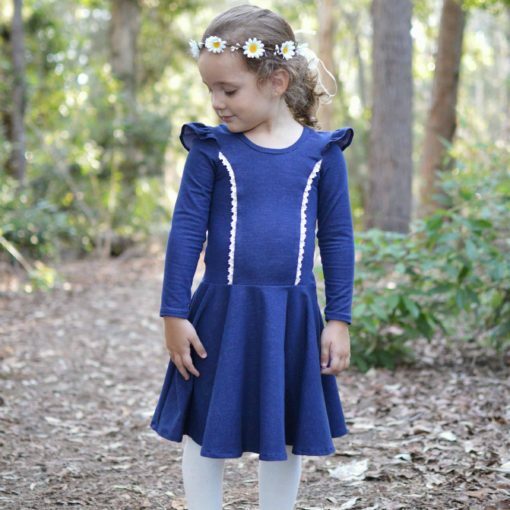 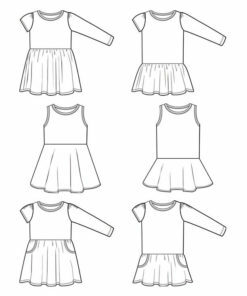 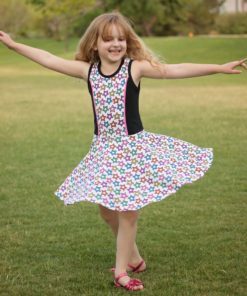 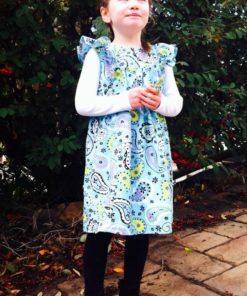 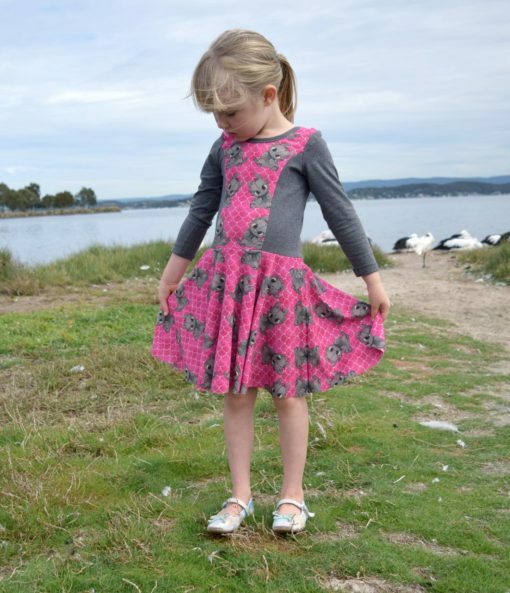 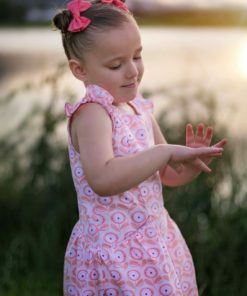 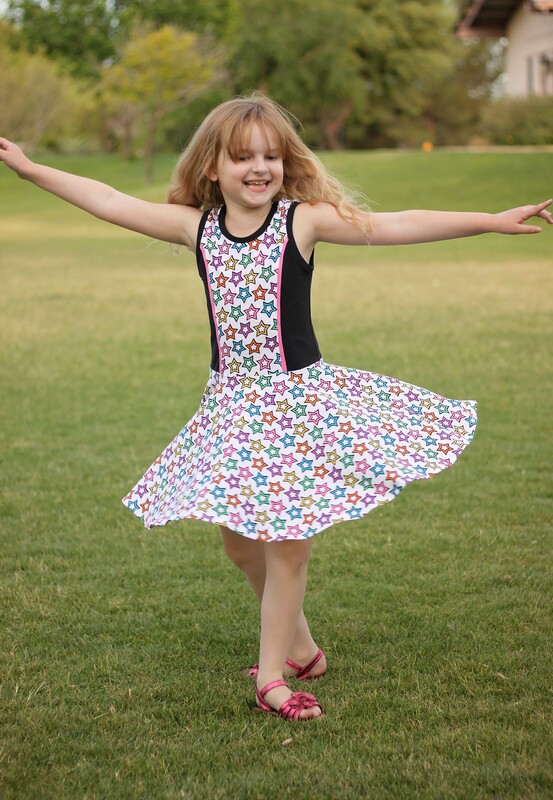 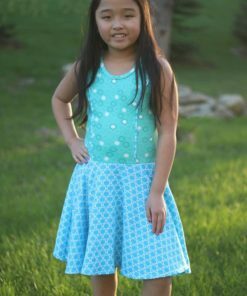 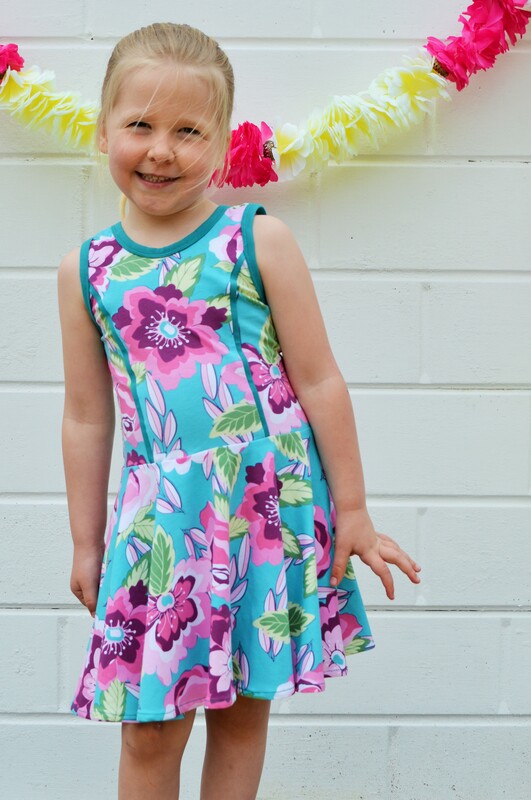 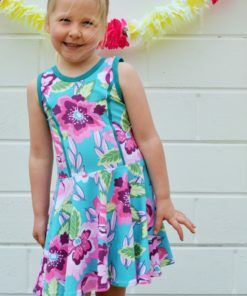 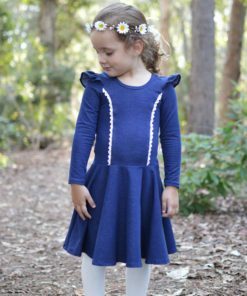 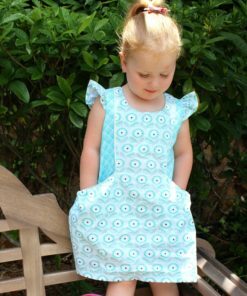 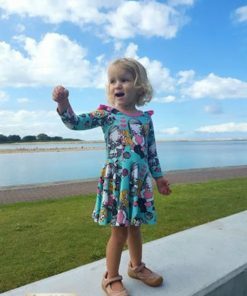 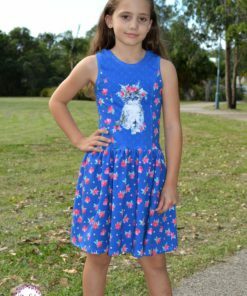 Based on the popular Pippa Dress PDF Pattern, the Poppy Dress keeps all the well loved elements of the Pippa pattern as well as some new options. 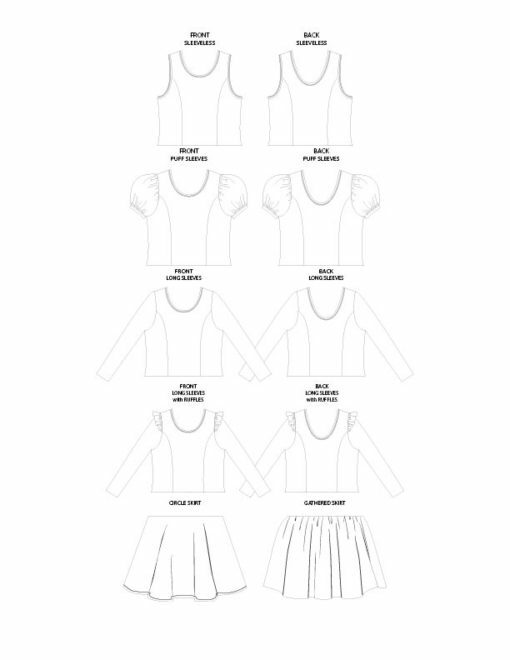 For the sleeves, choose from either a short puff sleeve, a long sleeve or sleeveless. 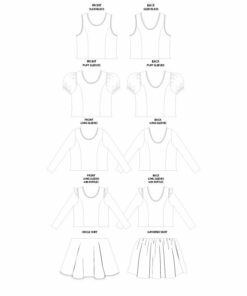 The skirt has two options to choose from – full circle skirt or a gathered skirt. 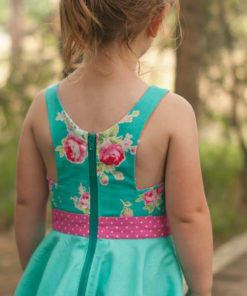 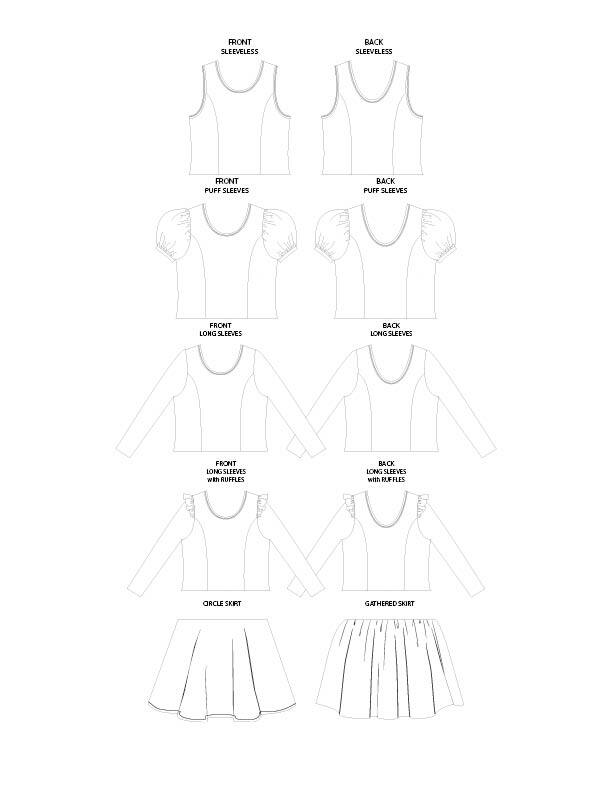 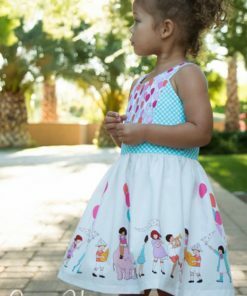 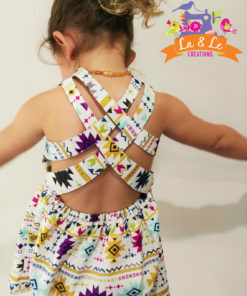 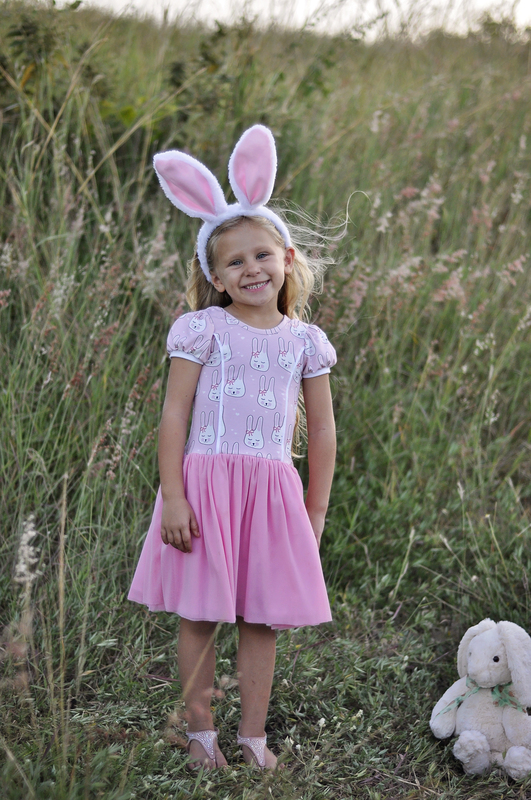 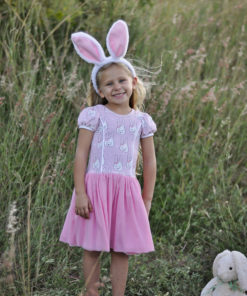 The bodice features a beautiful princess seam and full details on how to include faux piping along these seams are included in the pattern. 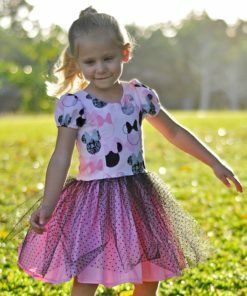 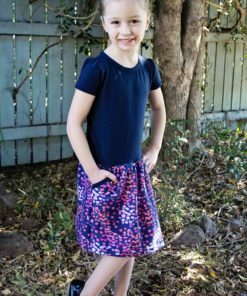 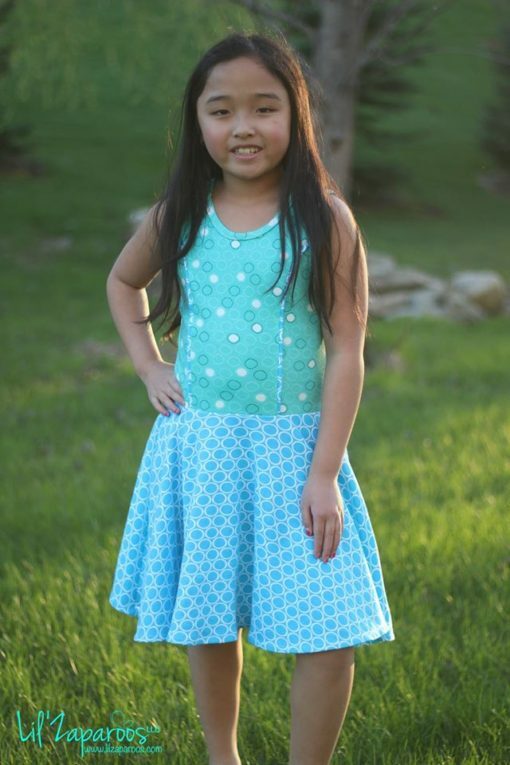 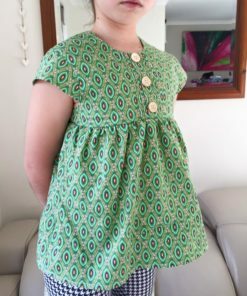 Very comfortable and easy to make, my daughter loves the twirl factor of the circle skirt.